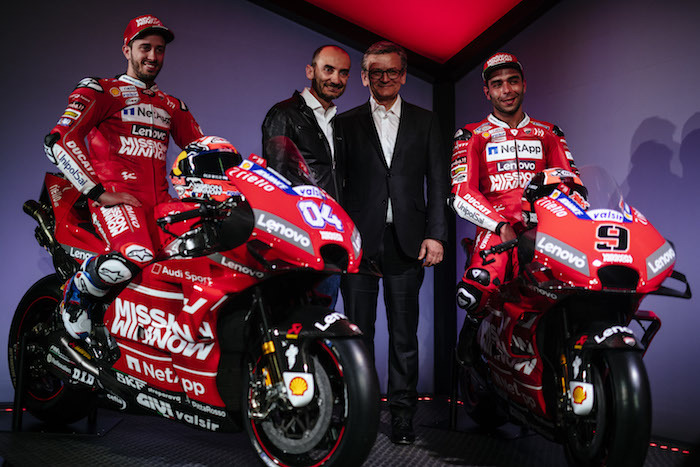 Philip Morris International Inc has announced that its Mission Winnow initiative is expanding in 2019 to include the Ducati Corse racing team. Mission Winnow is a PMI-led campaign to raise global awareness of their passion and determination to constantly improve and evolve, as well as highlight the power of science, technology and innovation to build a better future. Ducati Corse is one of the most resilient teams in MotoGP, with a 70-year history in racing. Ducati fans form a passionate community who appreciate the sophistication of the bike and the unique skills of the riders, who compete in one of the world’s most exhilarating motorsports. MotoGP and Formula 1 each attract a global audience of approximately 400 million viewers. Mission Winnow provides a window into PMI and their partners, as well as their shared commitment to constant improvement.